Hometown is proud to serve Watonwan county in their recycling needs! SINGLE SORT RECYCLING allows residents and businesses to place all recyclable materials in one cart with NO NEED TO SORT. Curbside pick-up is available in Butterfield, Darfur, Lewisville, Madelia, Odin, Ormsby, St. James, and to the residents around Long Lake. 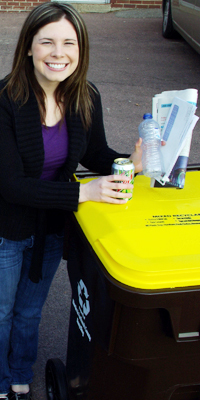 Residential recycling carts must be to the curb no later than 7 a.m. on your regular pick-up day. Communities that have permanent drop off sites for recyclable materials include: Butterfield, Darfur, Godahl, LaSalle, Lewisville, Madelia, Odin, and St. James.